Ahead of tomorrow’s Senate inquiry hearings, the Tasmanian Government has been exposed as talking-up the extent of the Tasmanian Reserve Estate and its value in protecting threatened species, yet silent its policy to log reserves and reverse the reserve status of over 356,000 hectares of high conservation value forests for logging. These forests are critical for the survival of many species, like the swift parrot, for which logging is acknowledged as a ‘threatening process’. In a submission to the Senate Inquiry into Australia’s Faunal Extinction Crisis, the Hodgman Government has emphasised the extent of the reserve estate in Tasmania (50.4% of our land mass), omitting to reference the activities allowed in some (logging and mining) and its policy to reverse some of them for logging. The Wilderness Society will present this as evidence to the inquiry committee on Monday. 356,000 ha of high conservation-value informal reserves are proposed for reversal and logging. 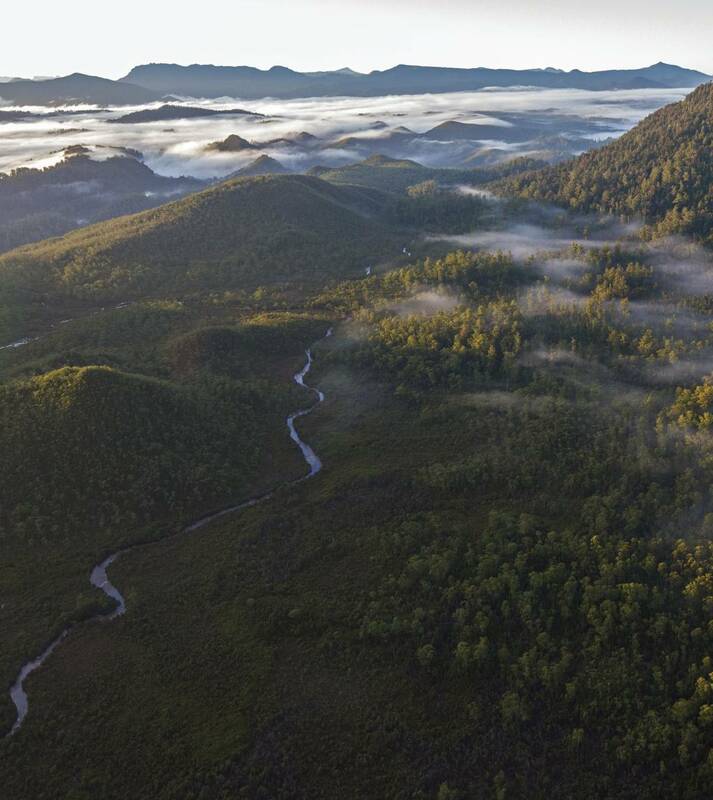 “On one hand the Hodgman Government is quick to talk up the fact that over 50% of Tasmania is reserved, on the other, it’s proposing to reverse important reserve areas and has published plans to log oldgrowth, rainforest tree species inside some of these reserves,” said Vica Bayley, spokesperson for the Wilderness Society. “Most people assume that a reserve in Tasmania means damaging activities are prohibited and protection of natural and cultural values are the priority, but in Premier Hodgman’s Tasmania, plans are afoot to log oldgrowth rainforest trees inside longstanding reserves, and other reserves are proposed for outright reversal. Tasmania’s Reserve Estate includes Regional Reserves and Conservation Areas, categories which allow logging and mining, whilst the Tasmanian Forest Agreement reserves, now called Future Potential Production Forests, are INCLUDED as part of the 50.4% of Tasmania that is ‘protected’, despite the government’s push to see their status reversed.